As a whole and since its inception, the Eiffage Energía Group complies with its Corporate Social Responsibility objectives actively contributing to the social, environmental and economic development of the environment. Corporate Social Responsibility is one of the essential practices for the company that is transferred to each of its offices around the world. This CSR policy must respect all the employees, the communities and also the environment with the integration of ethical values. We should note that in Chile, within the framework of environmental development, the Environmental Qualification Resolution, which includes all environmental and social activities to be developed for each project in different communities and regulates their implementation, is very important. Eiffage Energía Chile develops each of its projects to perfection, always ensuring that they comply with the EQR. – Aguas Andinas, Aguas del Valle and Aguas de Antofagasta (all category A), allowing it to work for water concessionaires, improving networks and water purification and treatment systems. -Sicep (Qualification System for Supply Companies of Goods and Services) certification in category A, allowing it to work for mining companies. -Extension of the water purification and treatment plant at Santiago airport. -Extension of the Buin Maipo water treatment plant. In this case using novel technology that will allow optimising processes with lower energy consumption. 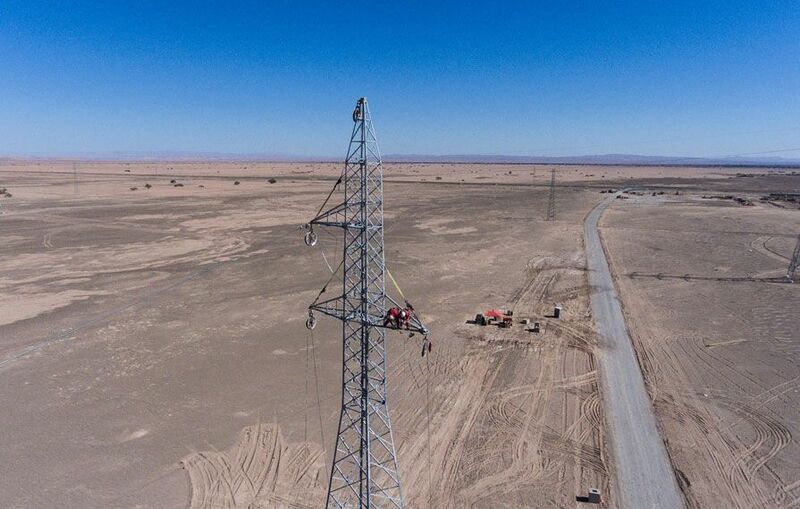 Water treatment projects along with power generation and transmission projects already implemented and running in Chile within the framework of the EQR, have enabled Eiffage Energía Chile to promote its CSR as a driving force for sustainable organisation in Chile. -Reforestation of the Atacama Desert with about 15,000 units of different species of native shrubs. This reforestation favours maintaining the flowering desert, something which occurs once or twice every year in the Atacama Desert. -Reforestation of 10 hectares of the Metropolitan Region with native species. -Repaving of a 1/3 of the streets of Colina, in the Metropolitan Region. -Investment for creating a Renewable Energy training lecture room at the University of Iquique, in the Tarapacá Region. -Investment for relocation and maintenance of cattle tracks. Important archaeological remains in the region of Tarapacá (Atacama Desert). -Investment for improvement and maintenance of Tambos. Important archaeological remains corresponding to ancient resting places located in the middle of the Atacama Desert.